If you have dry skin and struggle to find body products that are heavy duty enough to tackle it, then this post has something of a hidden gem for you. 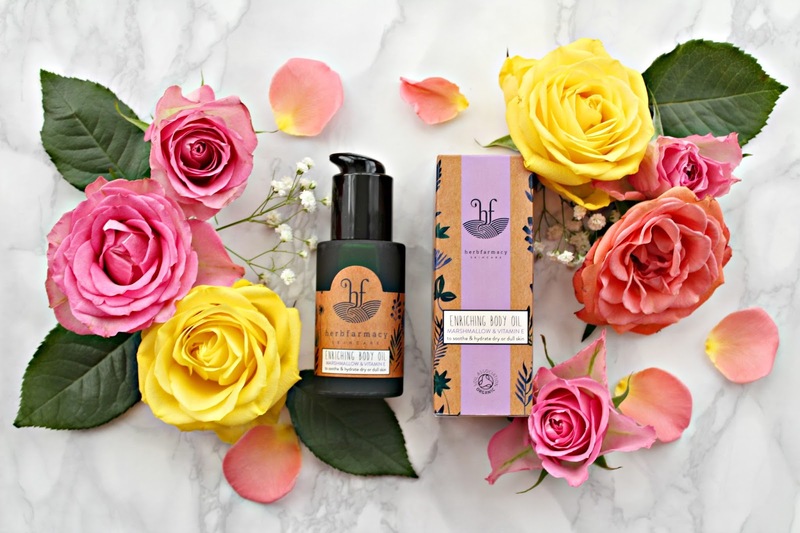 I have written many times about my love for Herbfarmacy as a brand, their home-grown, organic formulas are perfect for natural beauty lovers and the effectiveness and quality keeps me coming back to them time after time. The Enriching Body Oil (£12.50 for 45 ml) was a winter saviour for me last winter, so when I went to visit the farm for their last open day I knew it would be something I would want to repurchase. Herbfarmacy headquarters is set in rural Herefordshire, where the founder and botanist Paul Richards has been growing herbs organically for over thirty years. Ten years ago the skincare range was born and it has been a firm favourite of mine for a long time. Herbs have many wonderful properties for the skin, including soothing, softening and nourishing. In this body oil it’s the combination of the botanical oils chosen and the herbal infusions which makes it brilliantly effective. Although the bottle is small, a little goes a long way and it’s perfect to use a few times a week after a bath or shower. The blend contains hemp oil, one of the very best oils for dry skin and also omega rich Apricot and evening primrose oils. The herbs are infused in the organic oils and this cold infusion process keeps all the properties of the herbs intact. It’s slow beauty at its best. 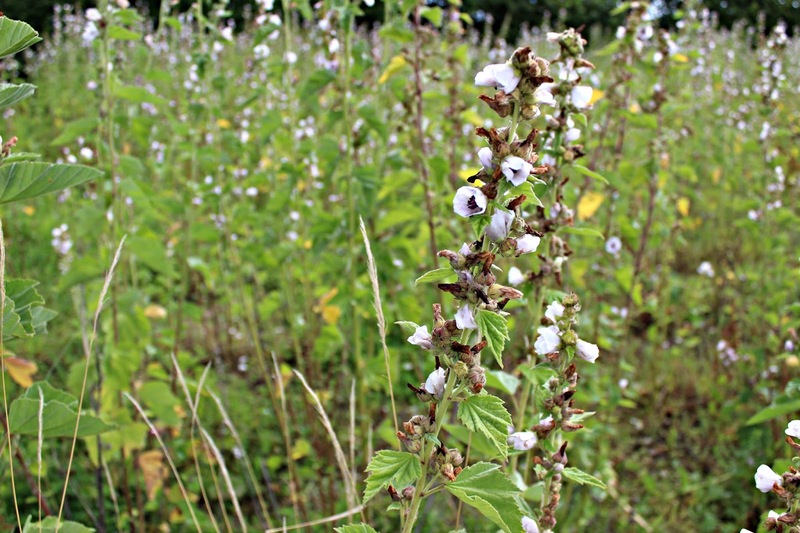 Marshmallow is the signature Herbfarmacy herb and it has softening properties for the skin that are found in the roots. The herb itself has tall white flowers that look very impressive growing in the field. It can also be found in another favourite of mine the Mallow Beauty balm. 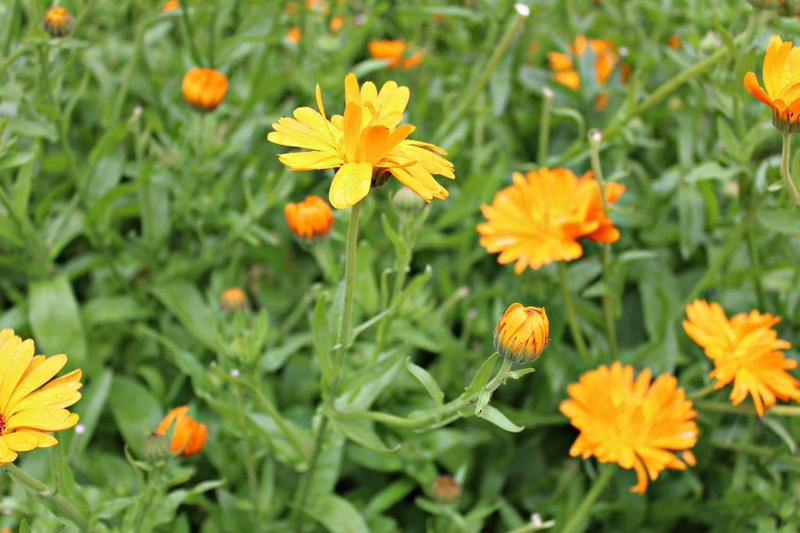 Calendula is well known for it’s soothing properties on the skin. The gorgeous orange petals look absolutely beautiful when the flowers are open and the petals close at night time, nature can be so wise. The calendula fields look incredible in full bloom, if you ever get a chance to visit during one of the open days I highly recommend it! The oil has a gorgeous blend of Ylang Ylang, sweet orange and lavender essential oils, which I love and find really relaxing to use at night time. This body oil works wonderfully with the Skin Rescue Balm which is also a favourite of mine. If you would like to learn more about Herbfarmacy you can find my interview with founder Paul here.